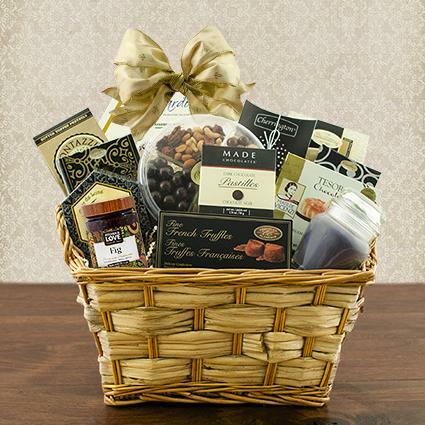 Help make a difficult time a bit easier to bear with a basket expressing your deepest sympathy. From May - Sept, this basket will be shipped with ice packs and special thermal wrapping. There is no additional fee for this service. However, the basket must be going no further than a two-day FedEx Ground shipping zone or be sent via FedEx 2nd day or Overnight Express shipping. If you opt for the 2-day shipping (either Ground or Express) the basket can be shipped Mon-Wed only. For Overnight Express Shipping, the basket can be shipped Mon-Thurs.